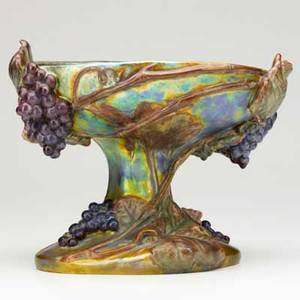 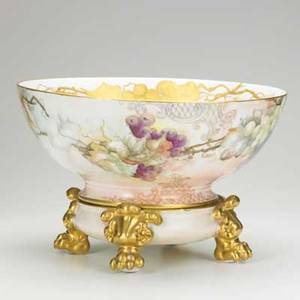 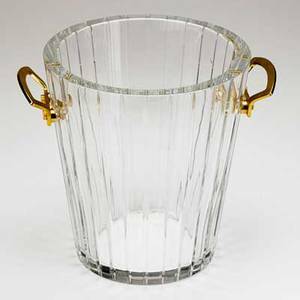 Zsolnay; large footed compote with grape and cable design in relief, 20th c.; marked; 9" x 11 1/2" x 9 1/2"
Archived auctions similar to Zsolnay; large footed compote with grape and cable design in relief, 20th c.; marked; 9" x 11 1/2" x 9 1/2"
Tiffany studios spiderweb dresser box with slag glass panels together with pair spider web design blotter ends, 20th c. marked. 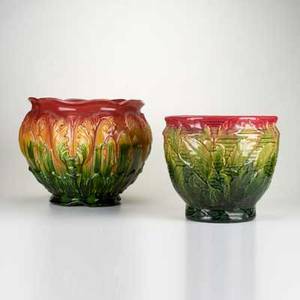 box: 6 1/2" x 4" x 2"
Majolica; two jardinieres with thistles and berries, late 19th/early 20th c.; larger marked ro34228s/jersey/12 in; larger : 12"
Limoges punch bowl; two part with hand-painted grape and gilded vine decoration, early 20th c.; marked jpl france; 9 1/2" x 14 7/8" dia. 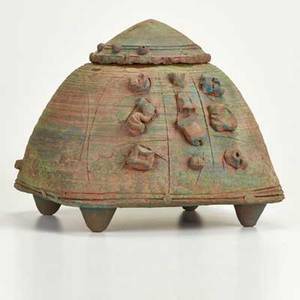 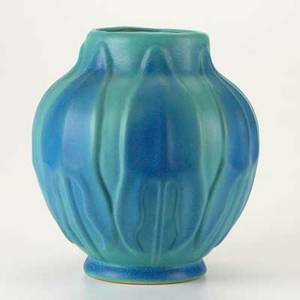 Van briggle; large vessel with tall arrow leaves in blue and turquoise glaze, mid/late 20th c.; marked; 11" x 10" dia. 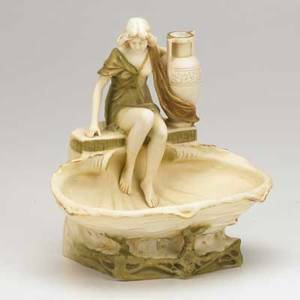 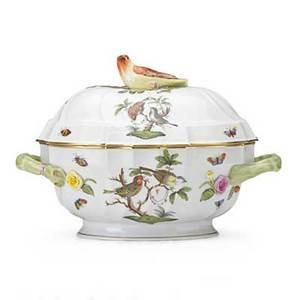 Herend; porcelain tureen in the "rothschild bird" pattern with bird finial, 20th c.; marked; 9" x 12" x 8 1/2"
Alois hampel; royal dux; art nouveau porcelain figural bowl with woman seated on a shell, early 20th c.; marked; 9 1/2" x 9" x 7"
Theodore randall; lidded urn with applied and sgraffito decoration, usa; mid-20th c., signed "t randall" on underside; 11" x 12 1/2" x 12 1/2"
German porcelain; pair of 3-arm porcelain candelabra with cherub picking flowers for a young woman, late 19th/early 20th c.; marked schierholz; 20 1/2"" x 9 1/2""
Baccarat; crystal ice bucket with dore bronze mounts, 20th c.; marked; 9" x 8" dia. 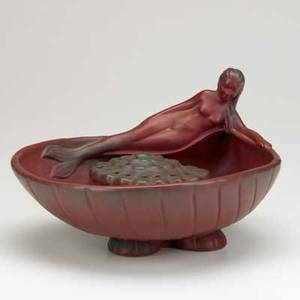 Van briggle; mermaid centerbowl with nautilus shell flower frog in persian rose glaze; marked; 9" x 13" x 12"